After the events in Gathering Prey, Lucas Davenport finds himself in a very unusual situation—no longer employed by the Minnesota BCA. His friend the governor is just cranking up a presidential campaign, though, and he invites Lucas to come along as part of his campaign staff. “Should be fun!” he says, and it kind of is—until they find they have a shadow: an armed man intent on killing the governor...and anyone who gets in the way. 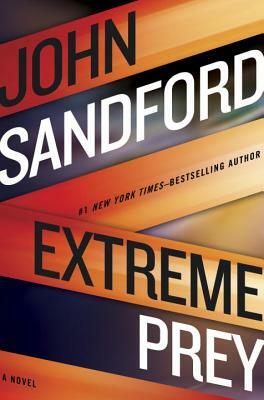 John Sandford is the pseudonym for the Pulitzer Prize–winning journalist John Camp. He is the author of twenty-six Prey novels; four Kidd novels; eight Virgil Flowers novels; two YA novels coauthored with his wife, Michele Cook; and three other books, most recently Saturn Run.